Deck the halls with 'Boughs of Holly'! 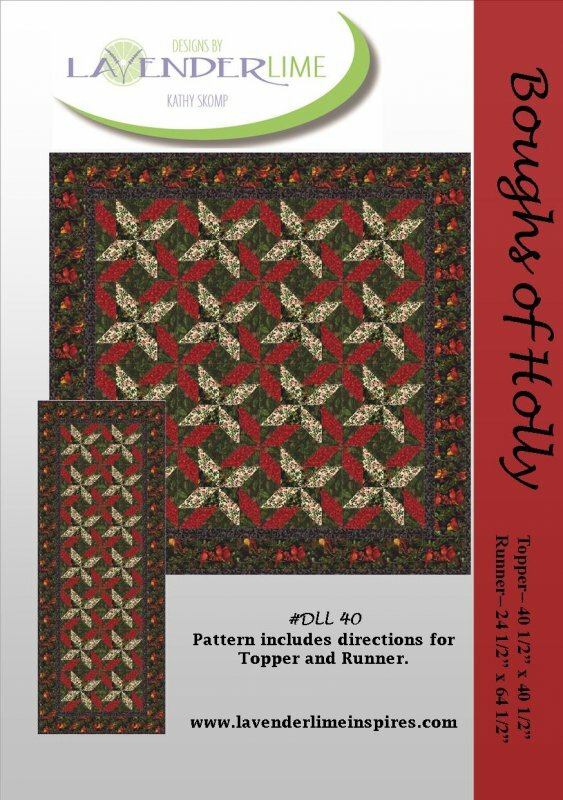 The pattern includes directions for a table topper (40.5 X 40.5) and table runner (24.5 X 64.5) that are sure to brighten your home for the holidays. The fabric line featured in the cover quilt is 'Rejoice' by Moda.